Hoof Pick with Brush 7 inches has different options and/or variations, please choose below. 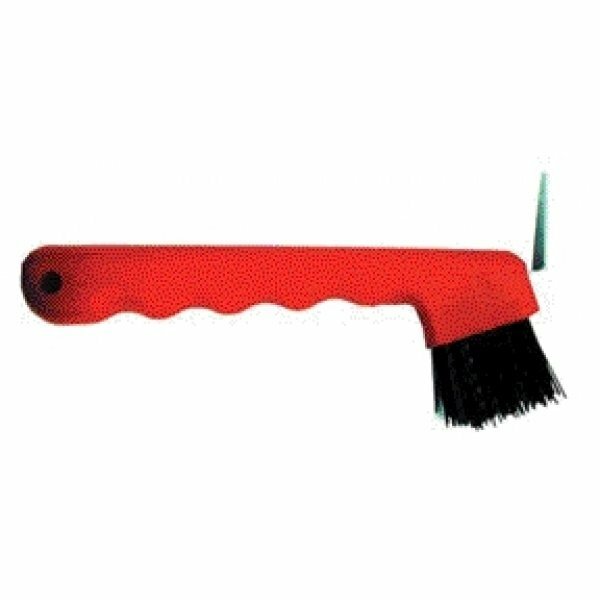 The Hoof Pick with Brush is 7 inches in size and combines two grooming tools in one. One side is a traditional metal hoof pick that is designed to remove mud, impacted dirt and stones. The other side is a convenient plastic brush that is great for removing loose dirt. Use daily after riding to keep hooves in great shape. Available in red, black, blue, brown and green.